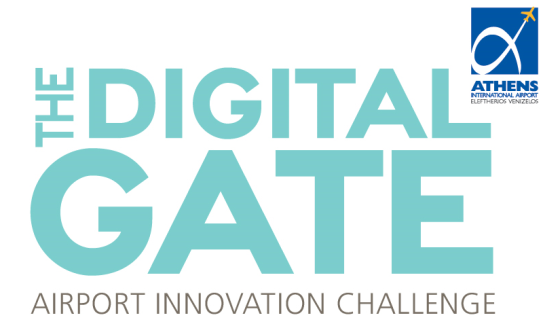 The 2nd innovation contest “The Digital Gate ΙΙ: Airport Innovation Challenge” is completed, and the Athens International Airport once again awarded the best innovative proposals and applications for new digital services and business activities with implementation potential in a real airport environment! The awards were presented during a special event organised on Monday, February 12th, in the presence of more than 100 professionals from the academic and entrepreneurial world. The second “DG II”, an Athens International Airport (AIA) cooperation with the Athens Center for Entrepreneurship and Innovation (ACEin), the incubation center of the Athens University of Economics and Business, was extremely successful. This time, 162 participants with 58 different proposals for innovative digital services for the airport and the wider airport community, responded to AIA’s call. Through the three stages of the competition, eight teams (https://thedigitalgate.gr/dgiipilots/) were selected, with business ideas related to airport operational support, passenger / visitor facilitation, and innovative services for tourists. It is worth noting that, two of the teams that were awarded are already incubated and supported by the incubation center (ACEin) of the Athens University of Economics and Business. With the substantial guidance of experienced airport managers - during the final stage of the process – all teams had the opportunity to test and assess their product or service in a real environment. Team HUBA (Human Behavior Analysis System), of the Institute of Computer Technologies (EKETA), received the special prize in the Exploitation of Research Results category. HUBA achieves a discreet analysis of motion and human activity through sensors and depth cameras. Team bespot. received the 1st prize in Retail Innovation. The bespot. application rewards users every time they are visiting a store. Team MyLayover received the 1st prize in Travellers' Experience. MyLayover targets transit passengers with an average stay of more than 6 hours, and gives them the opportunity to know Athens through exciting experiences. Team Recytrust received the 1st Environmental Sustainability Award. Recytrust rewards airport staff for recycling products through their innovative smart bins. The winning teams will each receive €3,000, the possibility of extending their pilot's duration in the airport environment for one more year, as well as advisory guidance and support in their funding pursuit from new funds. The competition is supported by SAS, CISCO, Kotsovolos, IBM, Microsoft, 12PM, Census, UNISYSTEMS / iqbility, and is hosted by HFCs, ELTRUN AUEB, SEKE, SEPE, HEPIS.